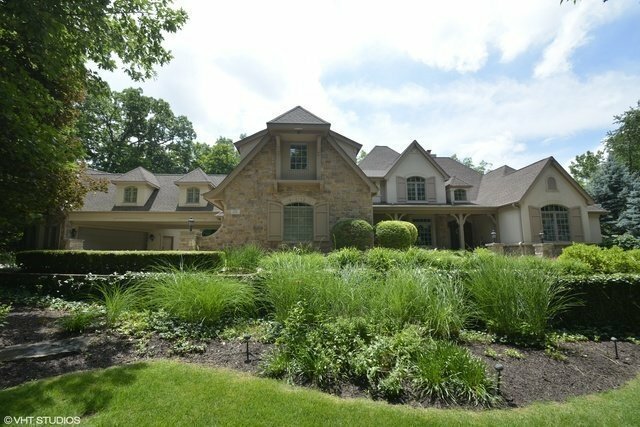 Located on gorgeous 1.5 acre wooded lot in Chartwell Downs is a beautiful, elegant, extremely functional home w/elevator, 7 car stalls, indoor pool & fin basement including 6 reclining chair theater rm. Approx 5,600 sq ft above grade + 2,600 sq ft bsmt provides over 8,000 sq ft. 5 bedrms plus office & bridge over driveway that leads to bonus rm over 3 car detached garage. Indoor pool has a separate full bath, changing rm, sauna, laundry rm. Huge kitchen w/big pantry, granite counters, 39 cabinets, 44 drawers, generous eating area and sitting rm. Both 2.5 car attached garages have heated floors as does basement. Finished basement has office/5th bedrm, exercise rm, rec room/bar area w/kitchenette, screened porch, mechanical room. Elevator to all 3 floors accommodates mobile challenges or elderly. Upper floor has 3 bedrms, bonus rm, add'l office, 2 full baths. Sprinklers, volume ceilings, deck, gazebo. Low utility bills ave $105 gas & $316 elec. Stunning home! Possible owner financing.